First of all I would like to say: "Welcome" to all of you who is reading this article now. Every time when I begin to write some grammar or vocabulary topic I ask myself a question: Why? Are there people who will read all this information? Will it be interesting? Tastes are differ. That is why I decided to public the information which in my opinion is the most important and interesting. Today's topic will be about Great Britain, its' history, its' national identity. So, why is Britain 'Great'? The word 'Great' was first used to distinguish it from the smaller area in France which is called 'Brittany' in modern English. There are two large islands on the north-west of Europe. These two large islands are called Great Britain and Ireland. The second one is usually called The Republic of Ireland or it is also called "Eire" (its Irish language name). The other state has authority over the rest of the area. It is called The United Kingdom of Great Britain and Northern Ireland. In everyday life the name is often shortened to 'the UK'. 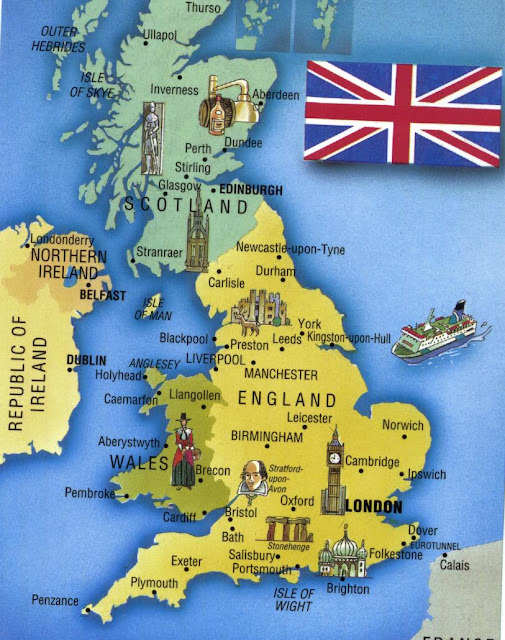 Great Britain is sometimes called Albion. Albion is a word used by poets to refer in different contexts, to England or Scotland or to Great Britain as a whole. It comes from a Celtic word and was an early Greek and Roman name for Great Britain. What is it in a name? Britannia is the name that the Romans gave to their southern British province (approximately area of present-day England and Wales). Some people often call the whole Great Britain 'England'. It is not correct and it can make some people angry. 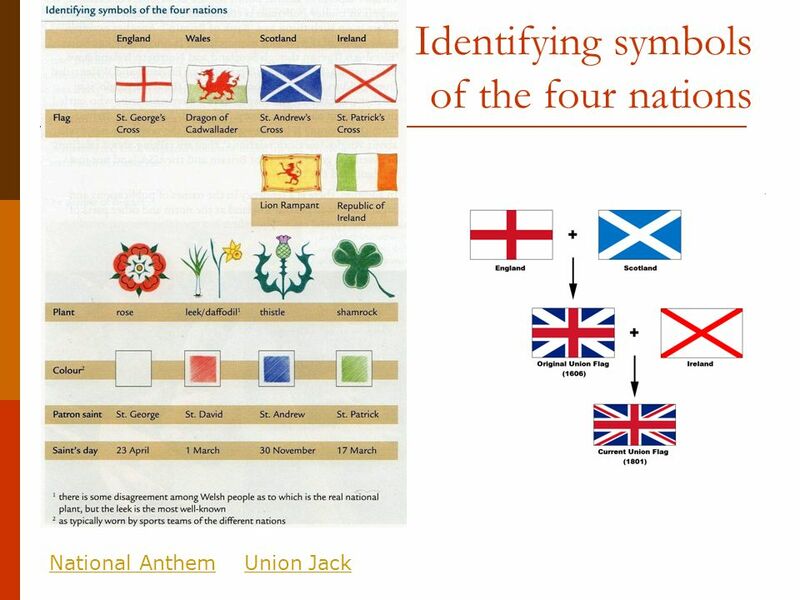 England is only one of 'the four nations'. The others are Scotland, Wales and Ireland. In 1800 Irish parliament was joined with the parliament for England, Scotland and Wales in Westminster, so that the whole area became a single state - the United Kingdom of Great Britain and Ireland. In 1922 most of Ireland became a separate state. Briton is a word used in official contexts and in writing to describe a citizen of the United Kingdom. Caledonia, Cambria, Hibernia were the Roman names for Scotland, Wales and Ireland. Erin is a poetic name for Ireland. Today there is only one government for the whole of Britain, and everybody gets the same passport.